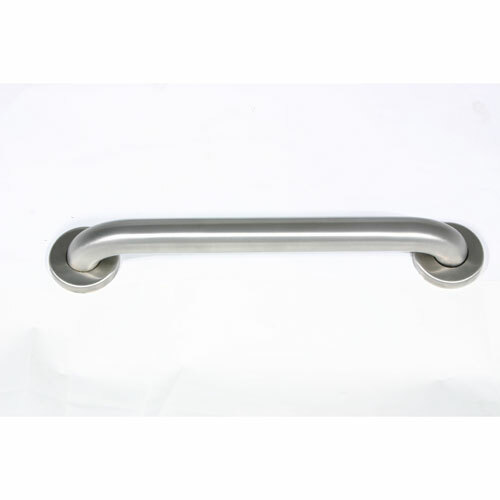 We offer a wide range of high quality stainless steel grab bars. Bars are made of heavy duty 18 gauge 304 stainless steel and have a 1 ½" wall clearance with precise 90 degree angles standard. When installed correctly all grab bars comply fully with ADA guidelines and can withstand loads in excess of the 250 lb requirement. The flange of the bar which is attached to the wall, floor or ceiling is an important structural and aesthetic aspect of the grab bar assembly. Available online in Satin Stainless steel finish with Concealed Twist Flange.